Screen sharing from the comfort of your home or office is a great way to be productive. 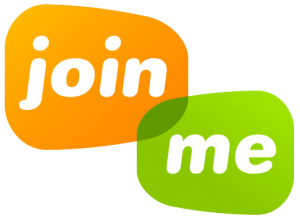 We recommend the free version of Join.me screen sharing software. Find the joinme.exe file in your Downloads folder, click it to run and follow the prompts. When finished, you should see a Join Me icon on your desktop. Click the orange “one time code” button, be ready with the nine digit number, you’re now able to either share your screen, or watch as we share ours for visual tutorials. NOTE: Please remember to run the program right before you call, sometimes the updates for a first use take a few minutes.